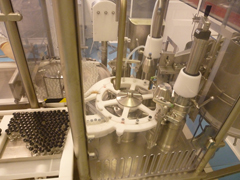 Baccinex owns the required equipment and has developed a cutting-edge know-how in order to fit onto each process and to manufacture in the best conditions for both clinical trials materials (Investigational medicinal products (IMP) or non-IMP for Phase I to III) and commercial batches. We can manufacture sterile products (eg : parenteral, ophthalmic, auricular etc.) and have developed special competencies in aseptic fill/finish and lyophilisation in vials and ampoules. Our cleanrooms allow us to provide clients with a wide range of sterile manufacturing services (by aseptic processing or terminal sterilization). 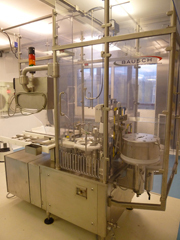 Formulation of bulk products are performed in a grade C environment and the solution is then transferred to a grade A and B clean room for sterile filtration and aseptic filling. 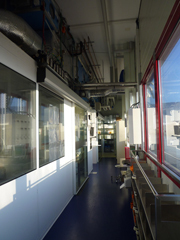 Pre-production activities (washing, depyrogenation of vials, preparation of material…) and post-production (cleaning…) are carried out in a grade C environment. Classified facilities and production equipment are periodically requalified according to GMP. There is no minimum batch size: we specialize in the manufacture of batches for clinical trial from very small amount of bulk solution (e.g. : 100-200ml) assuring a minimum possible loss of bulk solution.